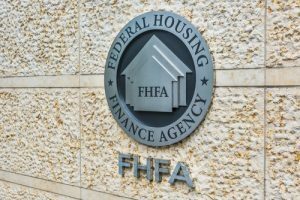 Until last week, the Federal Housing Finance Agency  (FHFA) was in its third act under the leadership of Director Melvin Watt and beginning its transition to shift into a successor–scheduled to take place in 2019. Last week a cloud descended on those orderly plans. Accusations of sexual harassment leveled against Director Watt by an Agency employee have triggered a federal investigation and many unanswered questions. “However, I am confident that the investigation currently in progress will confirm that I have not done anything contrary to law. I will have no further comment while the investigation is in progress,” he said. Under federal guidelines, FHFA must investigate the complaint within 180 days of its filing, and according to Politico , which first broke this news, the investigation into the complaint began almost a month ago. Watt was appointed in 2014 by President Barack Obama to head the FHFA, which oversees mortgage finance giants Fannie Mae and Freddie Mac and the 11 Federal Home Loan Banks. As the conservator of the government-sponsored enterprises (GSEs), Fannie Mae and Freddie Mac, the FHFA plays a key role in housing finance and the reforms of the GSEs. Director Watt’s impending exit from FHFA was already on the calendar, but will the public and political pressure placed on the official investigation hasten the transition of leadership? If so, a new Director of the FHFA could be appointed in one of two ways. The Trump administration could either allow one of Watt’s deputies to run the agency until a full-time director is nominated and confirmed by the Senate, or, as was the case with the Bureau of Consumer Financial Protection, the President can appoint a Senate-confirmed official to temporarily serve as the Director of the agency until a permanent Director is found. The GSE reforms would also come under the purview of the new Director and Watt’s replacement would need to be someone with deep knowledge and insight into how the FHFA plays the dual role of conservator and regulator of the GSEs. In the past, Watt has been clear on the stand of GSE reforms and FHFA’s role in these reforms.